@Phillyenduro: and yet pro racers are using e-bikes as a training tool, everyone from the Enduro crowd to elite XC world cup racers. It may not be right for you, it may not be right for me but i'm not going to judge someone on what brings them joy to their lives. Hey Race Face, since you own the Roach brand i think you should come out with a commemorative Roach item....that would be sweet! Pinkbike Poll - Do You Enjoy Working On Your Own Bike? 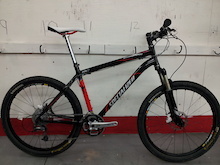 @acali: But I know Pinkbike was at the Magura Press Camp where we rode MT7's on the New Carbine 29'r. seems like a lost opportunity. 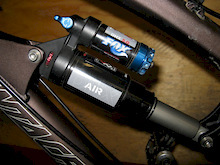 In a 4 piston brake shoot off why would you test the Trail version of the Magura Brake and not the MT7 which is their actual 4 piston brake? @YamahaBicycles: I for one am excited about the prospect of having more companies and frankly bigger companies lobby and fund more access and more trails. We can whine all we want about e-bikes but they aren't going away. Embrace the new kid on the block and and work with the new kid to carve out an even better situation for all of us.